Hyper Japan 2013 featured a variety of musical treats, including a surprising collaboration between Yun*chi and IroKokoro Project. 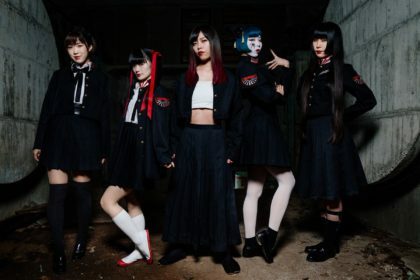 Originally formed back in 2009, IroKokoro Project is an online community of girls who do a variety of J-Pop cover versions (primarily Hello!Project and Momoiro Clover Z). How did the collaboration with Yun*chi come about? We were contacted via J-MELO! They emailed us requesting our collaboration with a “new and upcoming artist” (which was Yun*chi!). 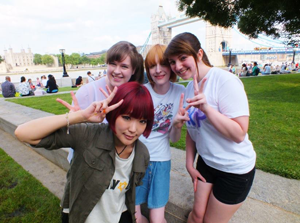 After the episode featuring ex-Morning Musume’s Niigaki Risa and the British members of IroKokoro aired in December 2012, many viewers got in contact with J-MELO; we gained a lot of fans through the TV program and many people wanted to see more of us, which was very encouraging! This is why we were asked to collaborate with Yun*chi – it was and still is hard to believe that they would want a group of girls who sing online to make an original song with a real popstar! We are still pinching ourselves! What is the song ‘waon*’ about? ‘waon*’ is a song about harmony. In Japanese, ‘waon’ is a term used to describe harmonies (in music), but it is also fitting in the sense that it is like creating harmony not only in music, but also between Japan, and other countries in the World as we sing together in one language… It’s quite beautiful if you think about it! How pleased were you when Yun*chi performed the song at Hyper Japan? Sadly, the IroKokoro members couldn’t be at Yun*chi’s live performance of waon*, however, we have watched her performance online and are all very proud of her and ourselves, and feel very emotional! It is certainly something we will never forget! We feel like real popstars! And Yun*chi was so cute, wasn’t she? She did Japan and IroKokoro Project proud! Who would IKP like to collaborate with next? Should we ever be lucky enough to collaborate again with another artist, we would have to say either… Morning Musume or Momoiro Clover Z! Why Morning Musume? All the girls in IroKokoro have grown up listening to and singing Morning Musume songs! (And secretly wishing we could all be members of Morning Musume… Maybe not so secret for some of us haha!) 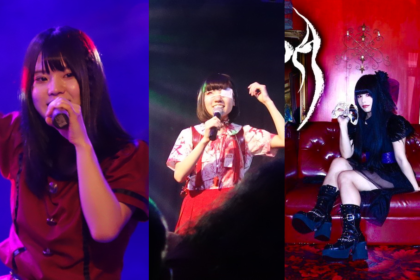 – They are classic Japanese pop idols! They have a wonderful mix of up-beat pop and classic ballads… They are just perfection! A collaboration with Morning Musume would be a dream come true! Why Momoiro Clover Z? IroKokoro Project first appeared on J-MELO by winning the singer search contest in 2011… singing ‘Kimi to Sekai’ by Momoiro Clover! You could say our ‘claim to fame’ was for singing a MomoClo song! They also recorded a personal message for IroKokoro Project on J-MELO, which will be aired soon worldwide… We still can’t believe it! 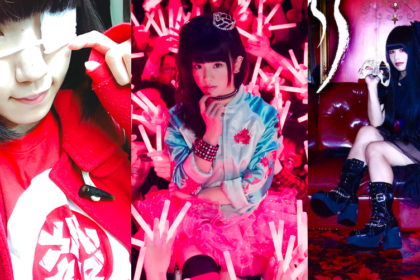 All the members of MomoClo are also known for having very colourful and energetic personalities, just like the IroKokoro members! We feel like we’d get along well with MomoClo! But of course, a collaboration with ANY artist would be wonderful! We truly are still in shock that J-MELO and Yun*chi would want to collaborate with us in the first place! What are the future plans for IKP? We are all individual members with very different personalities and very different ambitions for the future. For now, a lot of us are at college and university studying a range of subjects from singing and art to Japanese and business! A lot of us also work, and IroKokoro is a way for us to relax – we just love singing! 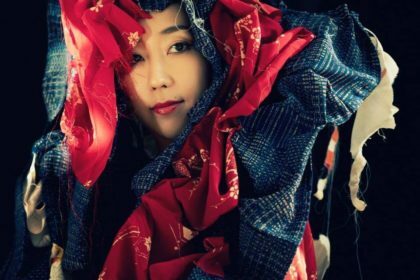 A lot of us are striving towards becoming professional singers and working hard to get our names known out there in the tough world of the Japanese music industry. 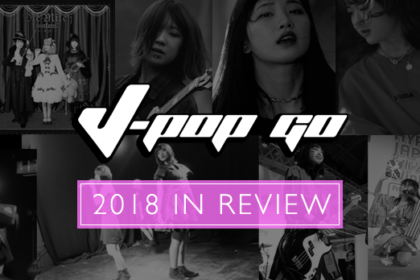 J-Pop Go extends its warmest thanks to Beth, Takara and IroKokoro Project and also to the Hyper Japan team. IroKokoro pic courtesy of IroKokoro Project. 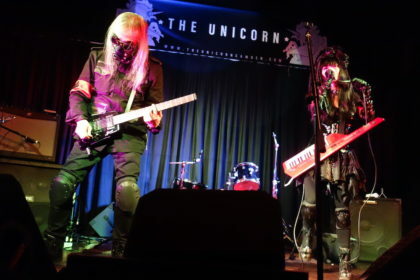 Live pic by Paul Browne.